Watsons' Big White Blowout to start 2017! For the love of good deals, my heart is pounding whenever I go inside a Watsons Store. Doesn't this spread cause a bit of palpitations? To start off 2017, Watsons wanted ALL of us to feel beautiful without spending too much at the start of the year and for the coming months! 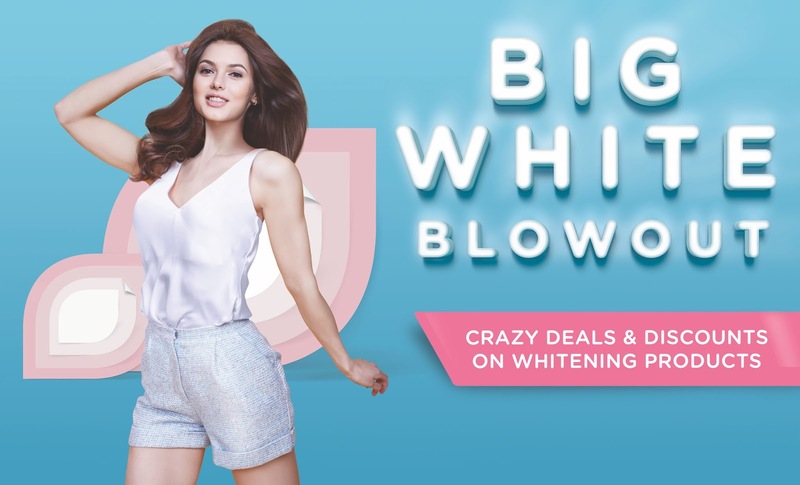 Celebrating Year 2 of the Big White Blowout, there are definitely many choices and more amazing deals and discounts for us to be able to satisfy out whitening needs. Can you spot your favorite whitening brand? Comment below and let me know! Don't get me wrong, Whitening is not wanting to turn white in AMW term, whitening for me is fighting off uneven skin tone and dull looking skin! With the right products, you may fulfill your new years' resolution to have better-looking skin! Aside from picking your favorite whitening soaps, facial creams, body lotions, deodorants and supplements, you may get the chance to win a brand-new iPhone 7! How? By simply using your SM Advantage or BDO Rewards card for every Php500.00 purchase on whitening products! We know we had fun and can't wait to go back to Watsons stores to shop for more!